Serving Tray for Geo. Ehret’s Hell Gate Brewery out of New York. Barley is shown around the borders. 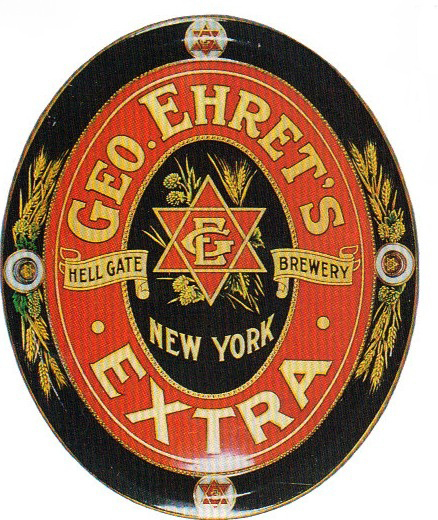 The center features a six-pointed Star of David with the initials “G.E.”, hops and grain.